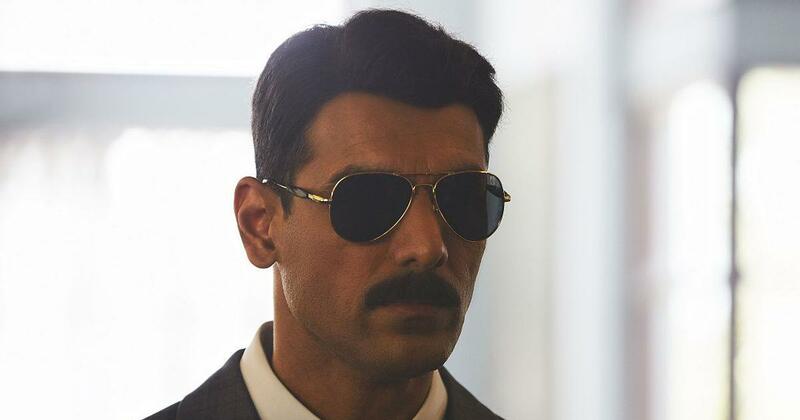 John Abraham goes undercover in Pakistan in Robbie Grewal’s spy thriller set in 1971. In Robbie Grewal’s Romeo Akbar Walter, cigarettes and cigars are more than just harmful addictions. As the spy thriller unfolds, the cancer sticks play their part in ensuring that Indians have a good night’s sleep while undercover agents lose theirs. Notes are tucked into the backs of lighters and paper cylinders double up as clandestine messages. Smoking kills but sometimes saves too. The twists in Romeo Akbar Walter don’t always work, and the narrative is stretched to 144 unearned minutes. The plotting barely rises above the level of the popular television series CID. And yet, Robbie Grewal takes his job so seriously and expends so much effort on the conventions and cliches of the spy movie that it is almost possible to leave the cinemas in a puddle of dewy-eyed patriotism. John Abraham, a pleasant screen presence, limited actor and astute role chooser, is nicely cast as Romeo Ali, a bank teller with a skill for impersonation. Romeo catches the eye of Research and Analysis Wing chief Shrikant (Jackie Shroff), and becomes the lynchpin in India’s efforts to run an undercover operation in Pakistan. After a crash course in spycraft, Romeo is dispatched across the border with a fake identity to ferret out information that proves crucial in the course of the 1971 Indo-Pak war, which led to the creation of Bangladesh. Meaningful looks and coded messages are exchanged, often in full public view, as Romeo, now rechristened Akbar, goes about uncovering Pakistan’s secrets. Within three short months, Romeo has earned the trust of Pakistani arms supplier Isaq (Anil George). How is this even possible, wonders Pakistan Army colonel Khuda Baksh (Sikander Kher). Khuda Baksh turns out to be the only one asking the relevant questions in Romeo Akbar Walter, which claims to reveal the nuances of the game of deception but relies far too much on contrivances and conveniences. Will Akbar come through, given that he is a Muslim operating in a Muslim-majority country? This should be among the many redundant questions in Romeo Akbar Walter, but it isn’t – there’s even a chase sequence set to the Muslim call to prayer. John Abraham in Romeo Akbar Walter. Courtesy Kyta/VA Film/Red Ice. Grewal, who has also written the film, delivers his premise with a solemnity befitting superior undercover accounts. There are nods to Mike Newell’s Donnie Brasco (1997) in the relationship that evolves between Isaq and Akbar, as well as a hat-tip to Govind Nihalani’s Drohkaal (1994). The costs paid by the individual spy for serving the nation – the fraying of family ties, the erasure of the self and identity, and the real threat of torture and death – are ticked off the list in Romeo Akbar Walter but not explored in much depth. 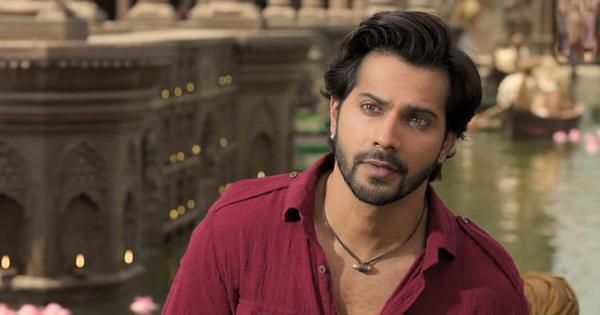 The sentimental track involving Romeo’s mother Waheeda (Alka Amin) and his romance with Parull (Mouni Roy) prove to be time-wasting exercises. Suchitra Krishnamoorthi pops up briefly as an influential journalist, but like the other women, she is among the movie’s disposable elements. Romeo Akbar Walter works best when it follows its inscrutable hero on his largely unchallenged quest for information. Alia Bhatt’s undercover Kashmiri spy in Raazi (2018) had a tougher time than Akbar, and even Nikkhil Advani’s D-Day (2013), which revolved around a fictitious operation to extract a gangster modelled on Dawood Ibrahim from Pakistan, gave its characters bigger challenges than does Grewal Akbar. 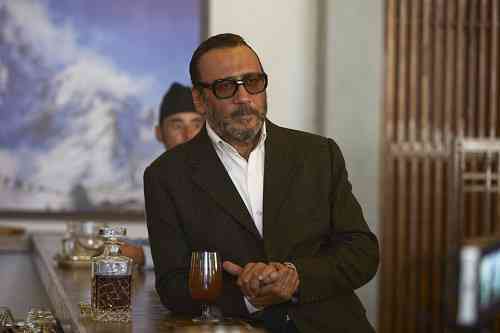 Jackie Shroff in Romeo Akbar Walter. Courtesy Kyta/VA Film/Red Ice. John Abraham’s opacity makes him a good fit for the spy who loves his mother and his land (there’s even a line to this effect in the movie). Abraham is backed up by Jackie Shroff, whose rumble seems to emerge from the bottom of a barrel of whiskey, and Sikandar Kher, who makes for a suitably sinister villain. The period detail in the production design (by Madhur Madhavan) and the richly textured colour-coded cinematography (by Tapan Basu) further fuel the conceit that something momentous is happening here. The deception stretches beyond Akbar and to the whole movie itself.